Make these felt superhero masks in just 2 minutes with the Cricut Maker. 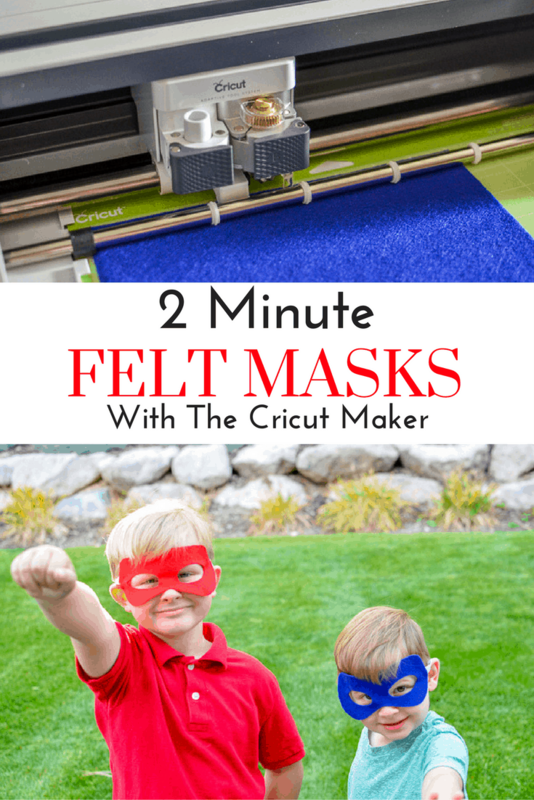 PLUS I’ll share with you why I’m loving the NEW Cricut Maker! You know when you were a kid and you asked for a certain toy for your birthday or Christmas (it was the Easy Bake Oven for me) and when you got it you played with it non-stop for days, weeks, months?! Or at least that’s what our parents hoped for. Well, that’s exactly what has happened since I got the new Cricut Maker in the mail last month! I haven’t posted a lot about it, other than these Oogie Boogie Bags, because I’ve been busy with work and family stuff; but seriously I have used my Maker for one project or another almost every day since I got it! 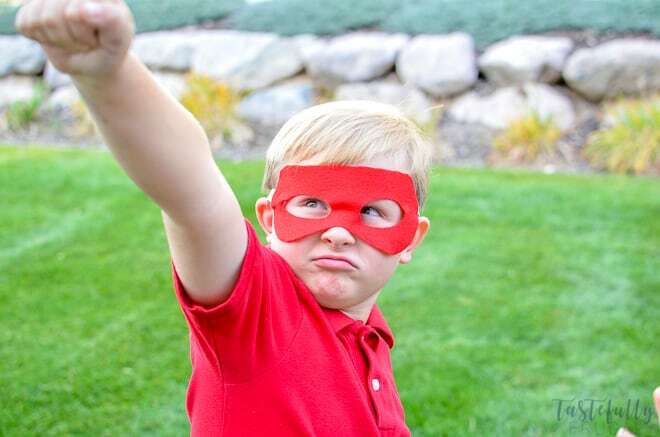 It makes projects I once thought were impossible for me, hello sewing projects, possible and has been so much fun for the whole family to use. My boys picked out fabric and used the new Easy Press to make these tooth fairy monsters, my hubby helped me make this super cute felt flower headband for Mahle and I’ve made numerous shirts, hats and more. The Maker comes with 50 FREE Projects which makes learning how to use it and working with new materials so much easier. 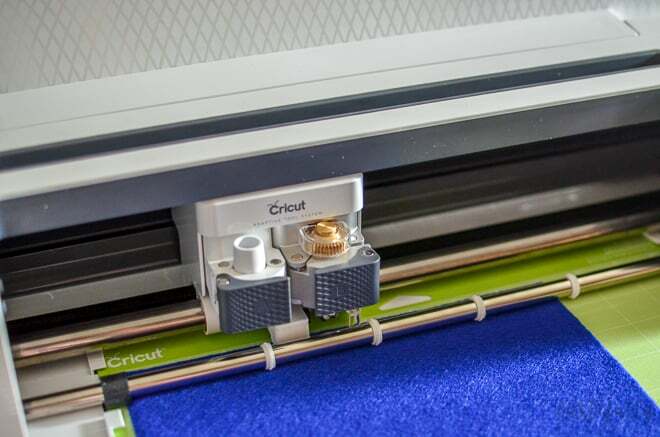 The two big differences between the Cricut Maker and the Cricut Explore machines is the rotary blade with the ability to cut over 250 kinds of fabric, and the knife blade that is coming out in the next month which is like an X-ACTO knife making it possible to cut materials up to 3/32″ thick (like balsa wood). 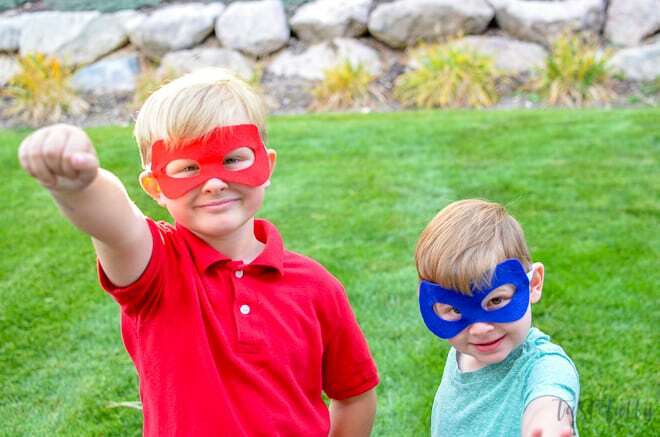 I put the Maker up to it’s first big test when I made these masks for my boys. 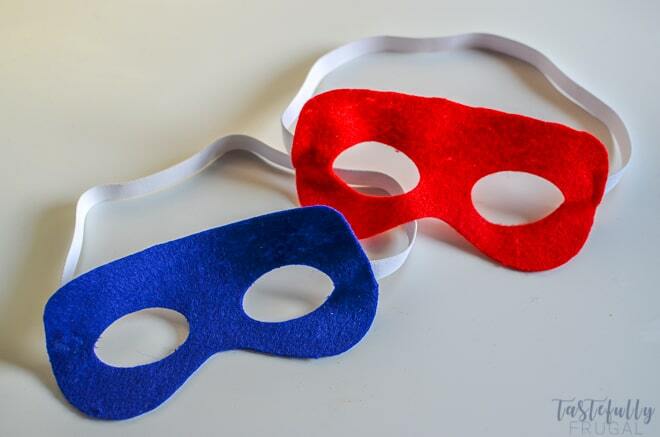 I made similar masks for Rohrl’s Avengers Party a few years ago and tried to cut them on my Explore Air but it didn’t work so well. I tried again with the Maker but with some cheap craft store felt (the ones that are 25¢ a piece) I had from a project this summer. I was amazed at how easily the Maker’s rotary blade sliced through the felt. There has been some discussion in our Cricut Support Group on what mat to use with the felt. I used the StandardGrip (green) mat and it worked just fine. And it was less than 2 minutes from when I loaded my mat into the Maker to when my boys were putting these masks on. They were SO easy to make! Put felt on to your mat. Put your rotary blade in the “B” clamp in your Cricut Maker. Choose felt as your fabric in the Design Space cut menu. Attach elastic to the masks with the stapler.I measured the elastic from my youngest’s temple to temple to get the size for the elastic. Cover the back side of the staples with glue to keep them from raising up and poking little fingers. 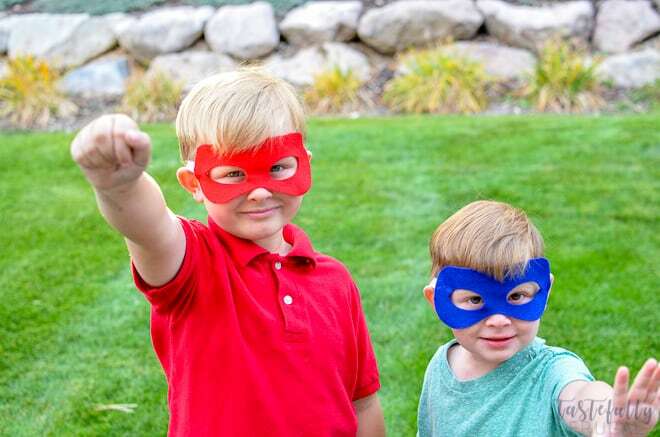 My boys have loved playing super heroes with these and I’m currently working on a pattern for capes I hope to share with you soon. Want to check out more projects I’ve done with my Maker? Tune in on Monday when I’ll be sharing TWO new projects!